The myth has propagated on the internet that the first printing book includes an error that was corrected in subsequent printings, with 12 girls ‘breaking bread’ instead of 11 (with Madeline in the hospital, there is supposed to be only 11 girls dining). This “12 girl error” was used in many, many subsequent printings, and is therefore not a method to identifying a true first printing. looks great. 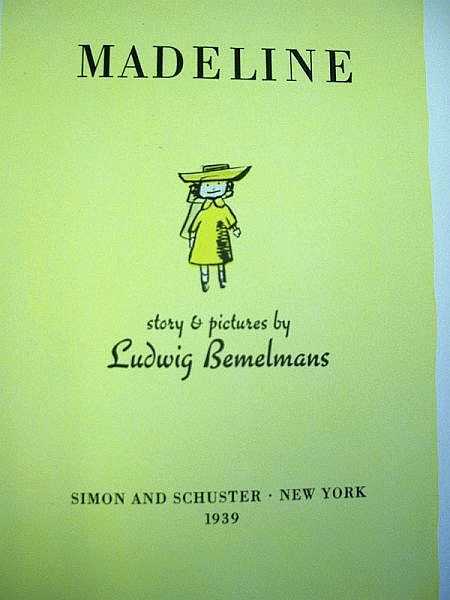 I think I had Madeline when I was a little kid.